You know how many marinas there are in the Sacramento Delta? A lot, let me tell you. 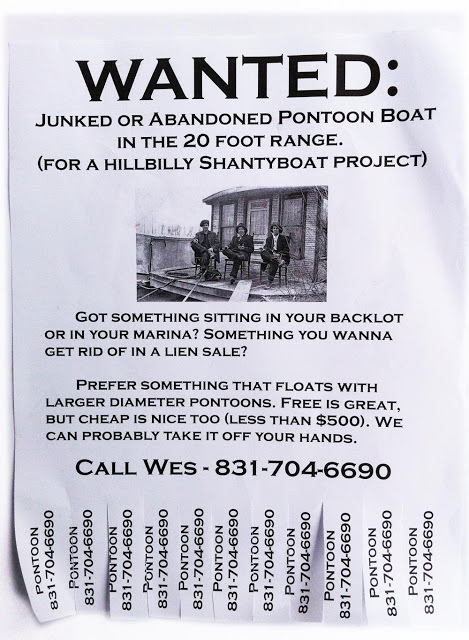 And I’ve called nearly every one in search of our elusive, inexpensive junked, but still floating, 20 foot-or-so pontoon boat. A few leads which I’m following up on. Surprisingly, we got a response within a few days from a guy named Chris in Walnut Grove. “I live on a little harbor. The woman who owns it is like 90 something and she’s going crazy. The marina’s falling apart. There a boat in the harbor, just sitting there for years, sounds like what you are looking for.” It took me a bit to understand Chris. He seemed like a nice guy, a lot like the other folks we met in the area, lonely, talkative, staggeringly inarticulate. 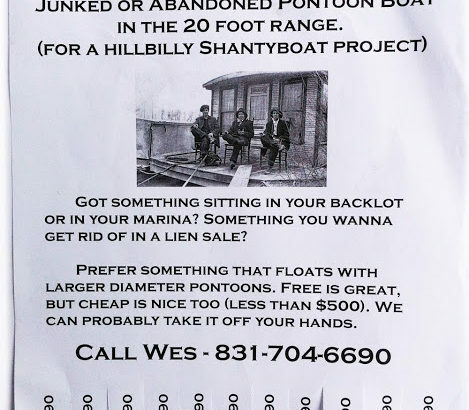 “I don’t know if it’s a pontoon boat, but it’s sinking on one side. So it’s probably a pontoon boat, right?” I had to think through this logic a little bit. One of the reasons we are interested in a pontoon boat is that it is less likely to sink. “This boat’s got stuff in it. A fridge, held up with a rope. It got coats in there, like nice ones. And other stuff.” I wondered that the locals had not already stripped this abandoned boat full of nice coats. As dubious as it sounds, we’ll probably take a look at it next time we go up there. If it hasn’t already settled to the bottom of the Sacramento River. As Chris says, who knows?